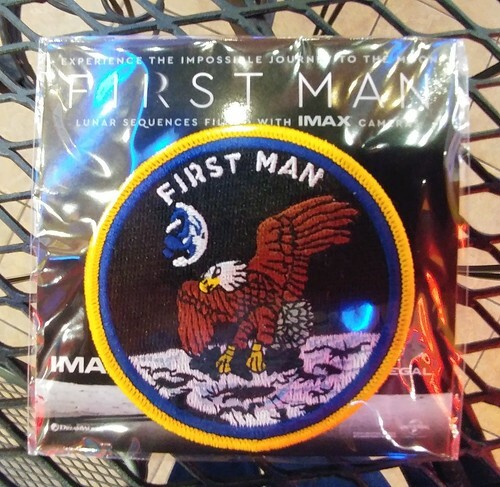 "First Man" movie, who's going to see it the opening weekend? 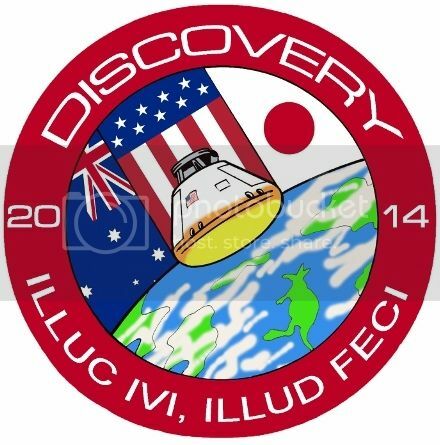 A place to talk about any and all things not related to Space Camp. Oddly, they're playing "First Man" at a local IMAX theater on Thursday night near my office so I'm going there after work. Ordered my ticket through fandango several days ago and saw ALL the seats available at the time. Some are gone now on the site, but no sell out for me! I got seat in the very center of the theater, so as best to get the effect. And yes, I confirmed elsewhere that they're really playing it that night. Re: "First Man" movie, who's going to see it the opening weekend? I am excited to see it, but will wait for Blu-ray. The previews make it look pretty intense and I am prone to sensory overload, so watching it in cinema might be too much. I'll be seeing it in a few hours, sure hope I get one of these! I can't tell if my wife will like it or hate it. It's a coin flip, I think, for what her reaction will be when I take her to see it later. Some might question the long scenes with nothing going on yet skipping through history, but I loved the scene where they were taking the elevator to Apollo 11, it was the best representation of that which I've ever seen other than the original film. The entire Apollo 11 portion is worth seeing the movie even if the rest had been no good (which it isn't). -That 1990s helmet/O2 mask when Armstrong crashes the LLRV... Ugh! Seeing First Man in the theater this weekend? Listen closely. The sounds of switches and clicks in the Apollo Command Module were recorded on-location at the U.S. Space & Rocket Center in Huntsville, Alabama. Below is a photo of Neil Armstorng, Buzz Aldrin, and Micahel Collins when they visited the U.S. Space & Rocket Center in 1989. Maybe the answers are in the annotated screenplay. majtom7 wrote: Maybe the answers are in the annotated screenplay. We watched 'First Man' tonight and I admit I am underwhelmed. The handheld videography was extremely distracting and irritating for me, as was the imbalance of the audio, and I think it really took away from the film. Also, the trailers added far more action and intensity than there was in actuality. I found the 'making of' bonus features more interesting than the feature in some ways. I guess I was expecting something more along the lines of 'Apollo 13' or 'From the Earth to the Moon', with some more drama and personal life story. This film seemed too vague at times and I didn't know who the characters were in many scenes because they were never referred to by name, though I could pick out a few based on my historical knowledge. Overall rating: a good story, poor videography, and just medium overall. Would I see it again: probably, but not for a while. I can't disagree with your take on the film. I saw it in IMAX and the grainy hand held shots were almost impossible to watch in that format, but it made the Crystal clarity of the Moon scenes that much more impressive by comparison. It's a good movie on DVD or BluRay, as you can skip to the good parts.